In a tweet this morning, President Trump said he had asked the Securities and Exchange Commission (SEC) to study changing required financial reporting for public companies from a quarterly system to reporting every six months. If you run a public company in America, you’re supposed to be held accountable for your work—maybe not today, maybe not tomorrow, but someday. CII welcomed Jackson’s remarks. “We applaud Commissioner Jackson for using his first major public speech to support CII’s ongoing efforts to address the problem of unequal voting rights,” CII Executive Director Ken Bertsch said in a statement. A dual-class structure without a sunset provision —‘forever shares’— says to investors, ‘we’ll take your money, but we won’t ever value your vote on how we use your capital to run the business over the long-term.’ That’s not equitable treatment of investors, and it’s certainly not good corporate governance. Directors Forum 2017 in San Diego was billed as Directors, Management, & Shareholders in Dialogue. Sure, all well and good, but I went there also hoping to learn more about President Donald J. Trump. He is the subject of a huge portion of tweets, Facebook posts and much of the news, so I expected Trump to also be the center of attention at Directors Forum 2017. CII, in partnership with CFA Institute, offers Pension Fund Trustee Training on Feb. 27, 2017, 9 AM to 3 PM at the Mandarin Oriental Hotel, Washington, D.C.
Today is your last chance to vote for real proxy access at Whole Foods Market Inc. (WFM, $WFM), unless you plan to attend the meeting in San Francisco tomorrow. The annual shareholder’s meeting will be held at the Fairmont Hotel, 950 Mason Street, San Francisco, California 94108 and will begin at 8 a.m. See Pension funds line up in favor of proxy-access bylaw change at Whole Foods. If you do attend, please stop me and say hello. 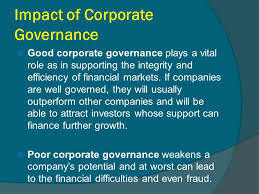 I would love to get your feedback on how shareholders can improve accountability through improved corporate governance. 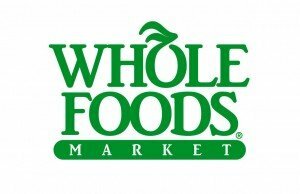 Whole Foods used to be one of the largest holdings in my portfolio. Back in October 2013 shares sold for about $65; today $35 seems to be the threshold to beat. I used to head California’s cooperative development program, so had a lot of experience with struggling grocers and their co-op wholesale. I invested in Whole Foods Market because their model was something of a hybrid, with its emphasis on teams, employee ownership and organic foods. Let’s discuss how Whole Foods can get its groove back. 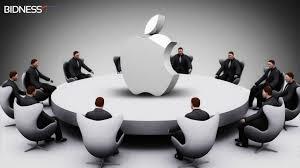 Proxy Access at Apple (AAPL) will be one of the most important votes of the proxy season. Will shareholders settle for the board’s recently adopted “lite” version, akin to greenwashing, or will shareholders vote in favor of real proxy access? 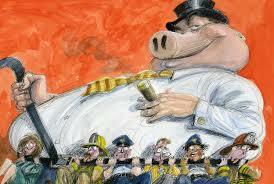 Boards, investors, and the corporate governance industrial complex are watching in anticipation. Your opportunity to vote on this important issue expires TODAY, February 25th at 8:59pm PST (11:59pm EST) if you are using ProxyVote.com. 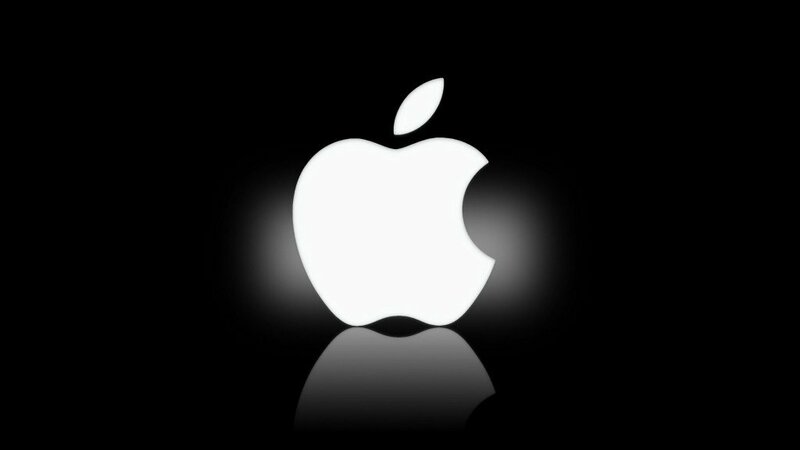 As reported by the Wall Street Journal (Apple Offers Proxy Access) and the Financial Times (Campaigners hail Apple shareholder move), Apple adopts proxy access. Yes, that’s progress, but we shouldn’t be gushing in praise over proxy access lite. 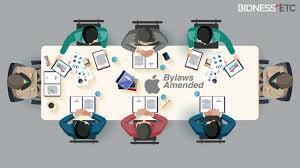 See Apple bylaws, pages 18-26, 5.15 Proxy Access for Director Nominations. 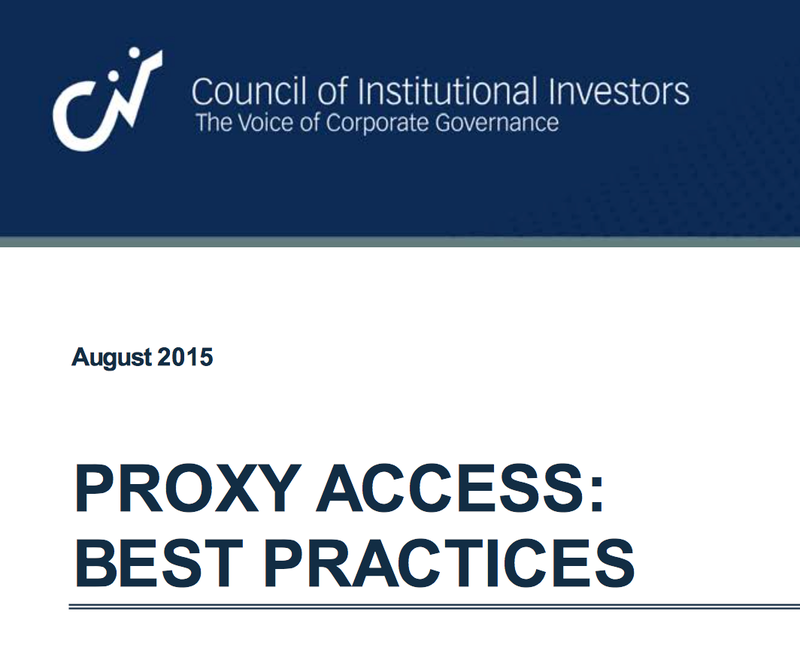 Compare with the Council of Institutional Investors’ (CII) Best Practices. tipping point… Corporate resistance to proxy access is crumbling as more and more boards are coming to the table and working with investors to provide greater accountability that will drive long-term value. 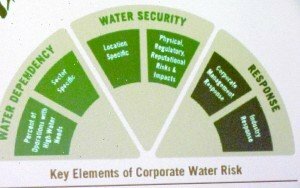 Water risks and and an Internet program from iiWisdom are the subjects of my last notes and photos from attending the Council of Institutional Investors Fall 2015 Conference in Boston. 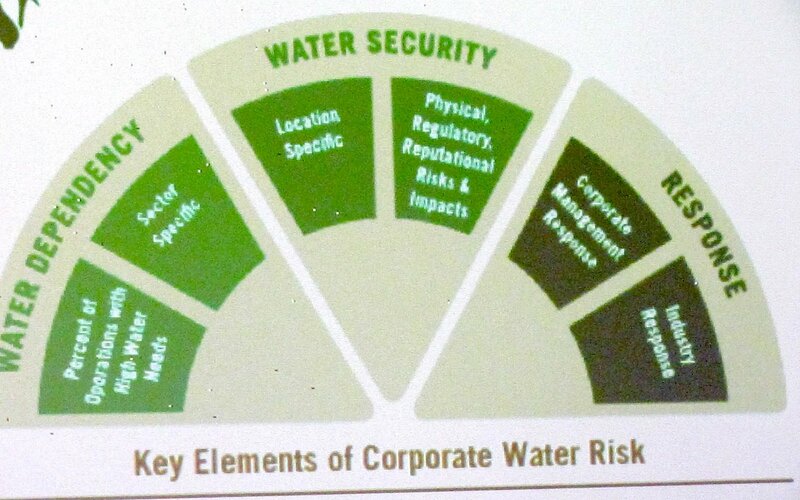 The Deep Dive on Water Risks was hosted by Ceres. This is one of a many part series from the Council of Institutional Investors Fall 2015 Conference in Boston. This part of the program dealt with hedge funds and policing Wall Street. Sorry for the delay in posting but other tasks keep intervening. Keep in mind, I generally am not quoting speakers. Instead, I’m providing my reaction. Sometimes there can be a big difference. This was an interesting session from the Council of Institutional Investors Fall 2015 Conference in Boston. Please feel free to post corrections, counterpoints and additional relevant material on topic of Investing for the Long-Term, using the site’s comment feature. 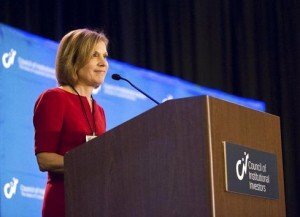 Find more posts from the conference on this site or Twitter by searching #CIIFall2015. This session was a transition between #ICGN15 and #CIIFall2015 conferences in Boston. 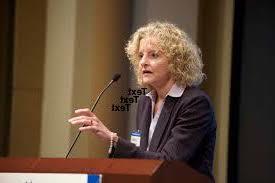 Deborah Goldberg, the Treasurer of Massachusetts, provided the opening remarks. 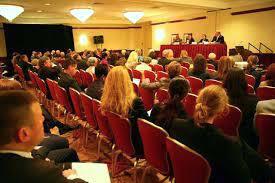 She was followed by a panel discussing the priorities and challenges of pension fund chiefs. 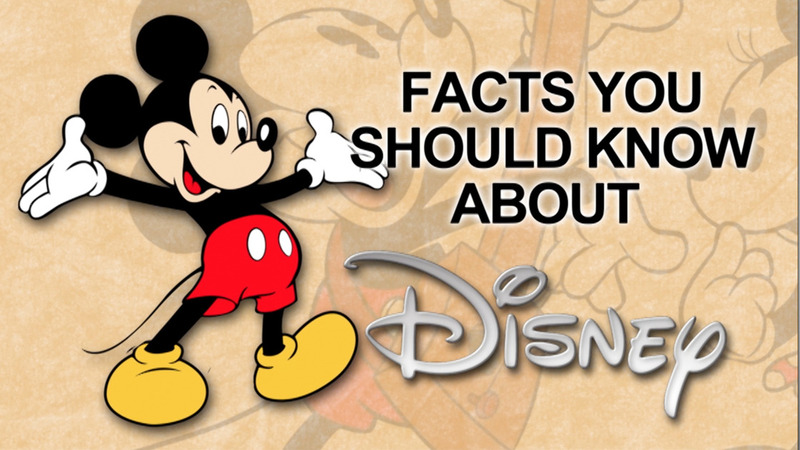 Please feel free to point out any corrections, counterpoints and additional points using the site’s comment feature. 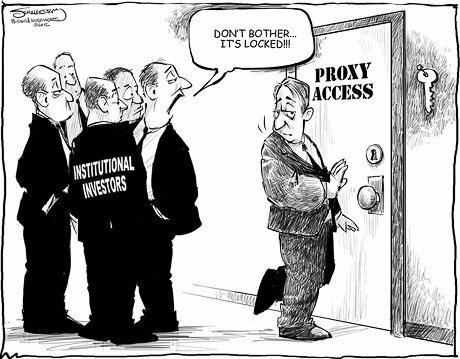 As I have mentioned in other posts (see especially Proxy Access Lite: Victories at Whole Foods, H&R Block), several companies have adopted proxy access ‘lite’ with provisions that make implementation excessively difficult and less effective than they would have been under the SEC’s universal proxy access Rule 14a-11. 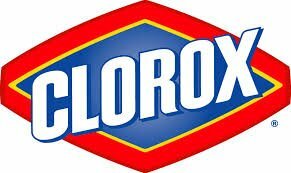 In response to a proxy access proposal I filed earlier this year, Clorox Co (NYSE:CLX), manufacturer and marketer of consumer and professional products, adopted proxy access (press release, amended bylaws). 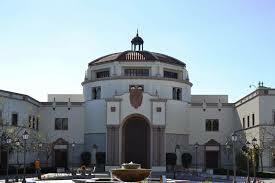 I am declaring another victory and withdrawing my proposal. As you may have read by now Microsoft Makes It Easier for Shareholders to Nominate Candidates to Board, another company where we filed for proxy access has adopted proxy access lite. Apologies to those tired of reading about the issue of proxy access at Whole Foods. However, the SEC’s no action letter is a real watershed moment in the long struggle for proxy access, which began in earnest for me with a rulemaking petition in August 2002 but which others have been puruing for decades. Last Friday I received a letters from the Council of Institutional Investors (CII) and the Marco Consulting Group Trust in support of my December 23, 2014 appeal. (See below or CII site. The Counsel of Institutional Investors (CII) took a very strong stand yesterday, asking Whole Foods Market to amend its proxy access proposal to conform with the “3 percent for three years” standard applicable to groups.